I think I know who the better swimmer is. This is such a fun drawing. I like it. 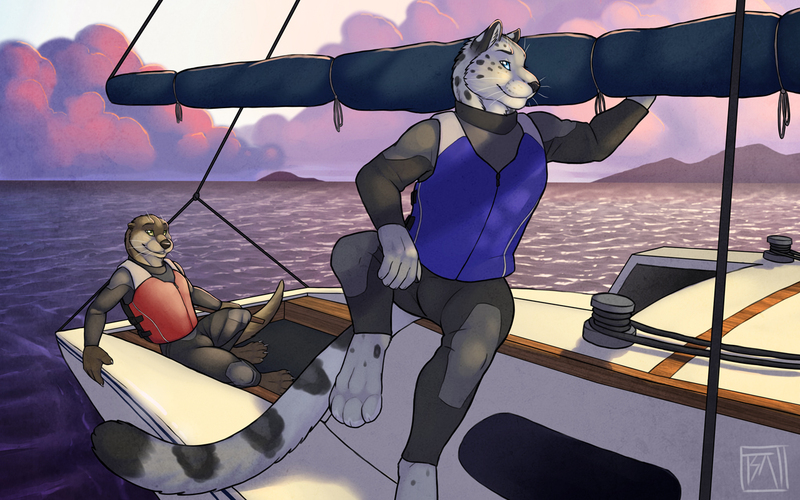 Felines in wet suits plus.